Brad V. Spagnolo, M.D., F.A.C.S. Brad V. Spagnolo, M.D., F.A.C.S. is a Comprehensive Ophthalmologist, Corneal Specialist Cataract & LASIK eye surgeon at Baltimore Washington Eye Center. Dr. Spagnolo is the Vice President and Director of Refractive Surgery at Baltimore Washington Eye Center. 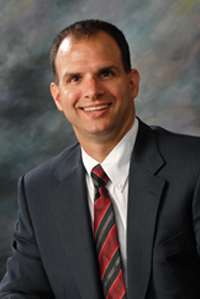 Dr. Spagnolo earned his Medical Degree at Temple University School of Medicine. His medical internship was under the auspices of Georgetown University at Fairfax Inova Hospital. Dr. Spagnolo completed his residency in ophthalmology at the George Washington University Medical Center, followed by a Fellowship in Corneal and Refractive surgery at the Kresge Eye Institute. Since joining Baltimore Washington Eye Center in 2000, Dr. Spagnolo has built a highly regarded reputation in his areas of expertise, experience, and interest including treating corneal disease, laser eye surgery for vision correction, such as LASIK, and laser cataract surgery and lens implants. Dr. Spagnolo is certified by and is a Diplomate of the American Board of Ophthalmology and a Fellow of American College of Surgeons, as well as a member of the American Society of Cataract and Refractive Surgery (ASCRS) and the American Academy of Ophthalmology (AAO). At Baltimore Washington Eye Center, Dr. Spagnolo sees patients for routine eye exams for eye health and vision, cataract evaluation, laser cataract surgery & lens implants, laser eye surgery such as LASIK, help for dry eyes, corneal diseases and conditions, diagnosis and treatment of glaucoma, and consultation for all other types of eye diseases, problems and surgery.